Abeni Nazeer is a freelance Videographer/Editor. Her experience includes: documentaries, commercials, EFP/ENG productions, network and corporate broadcasts, product launches, conventions, filming, engineering, editing and concerts. Abeni work allows her to travels throughout the United States and United Kingdom; however, she is based in Baltimore, MD. As a Director, Abeni works closely with people to creatively communicate her as well as her client’s message to the target audience. She is committed to make every project her best project. For that reason her clientele has grew and continues to grow. Abeni was born in Lansing, MI. Her family relocated to the east coast area. Her parents encouraged her to be artsy. When she was younger her interest was drawing and painting. She enjoyed creating simple art with deep bright colors. On her seventh birthday she had a successful art exhibition. At that time she knew creating art is where she wanted to focus her time. Abeni continued to draw/paint and she still does until this day. Abeni’s parents keep her aware of the social injustice that was happening all around her. She became involved in a local after school program called, “Kids on the Hill”. The program gave young teenagers video camera’s and encouraged them to film any injustices they saw in the city. The idea was to use media as form of social change. Abeni quickly blossomed in the program as a leader. 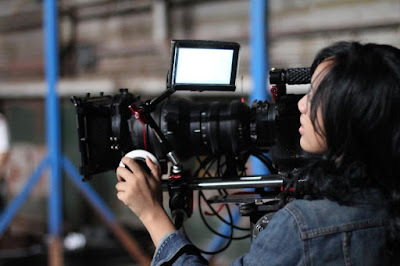 She learned how to shoot and edit documentation stories and well as organize groups of people. By the time she was 16, she was tutoring/mentoring students on videography/editing and teaching film classes in two Baltimore City High Schools, Lake Clifton, and ACCE Academy.